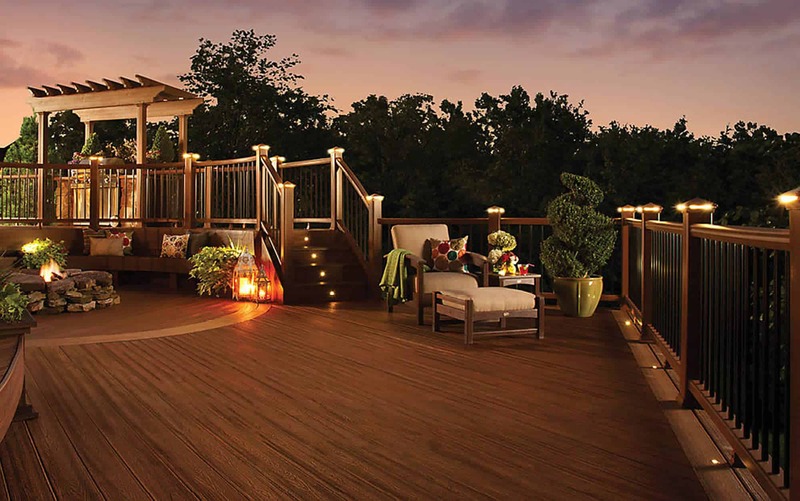 Trex Transcend decking in Vintage Lantern. Trex railing in Tree House. Trex Transcend Decking in Spiced Rum and Tree House, Railing in Tree House and White, Trex Post Cap Lights and Riser Lights. Azek Decking in Morado. Azek Railing in Black. Trex decking in Spiced Rum. Trex Transcend Railing.